What's Going On With Your Hair??? On This Woman's Words radio I had the opportunity to interview the co-founders of Naturally Happy Hair Magazine recently. Our conversation brought out some issues that we as women really need to examine. As women, why do we focus so much on our hair? I have to include myself in this need to self examine. If we have a "bad hair day" our entire day can be lost. If we have curly hair, we want straight hair. If we have straight hair, we wish and pray to wake up one morning with curly hair. If our hair is brown, we want it blond. If it's black, we wish we were a redhead. Should we stop fighting the natural tendencies of our hair and simply 'go natural'? 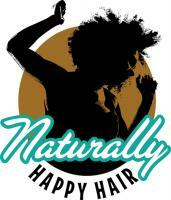 Is it time to empower ourselves to embrace our hair just the way it is and have Naturally Happy Hair? Check out the conversation by Clicking Here. Join This Woman's Words radio as we welcome Boston Marathon survivor and breast cancer survivor Lynda Nijensohn to the show. Lynda will be our featured guest on Sunday May 19th at 5:30 PM central standard time. Lynda and her father John Cowin,65, of Leesburg, Fla., are part of the history of a moment in time where Americans came together and showed heroic strength of character and faith. 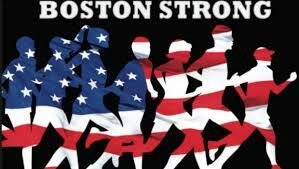 Lynda ran in the Boston Marathon to support breast cancer survivors. Her father John who was there to support her, is what I will call an American hero. In the face of adversity he did not hesitate. He immediately swung in to action to save American lives. Listen to my interview with Lynda Nijensohn live on Sunday May 19th at 5:30 PM CST or on podcast anytime by Clicking Here. I'd love to have you to call in to join the conversation at 714.464.4854. For those of you who follow my blog, you know that I am a proud native Texan. For those of you who follow my blog from other parts of the nation and the world, you may not know that Texas was once a part of Mexico. Cinco de Mayo is a big deal here in Texas. Despite what you may read and witness online and on television, most thinking people in Texas have an understanding about why we are so closely connected to Mexico. Many of us of all races and ethnicities have extended family in Mexico. Many people travel back and forth to Mexico on a regular basis for shopping, visiting relatives, business, etc…. For us it’s sort of like Rochester, New York and Kingston, Canada. Texas and Mexico have a connection that can not be denied. So here in Texas Cinco de Mayo is a big deal. There will be parades, lots of food, margaritas y vino, there is at least one 5k run, celebrations, and proclamations in recognition of the day. The meaning of Cinco de Mayo has evolved from the anniversary of Mexico’s victory in 1862 in the fight for independence from French forces. 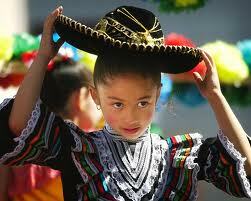 It is now more of a celebration of Mexican heritage and culture. Both of which are alive and thriving in Texas!